As a former CEO and software engineer (Citrix, XenSource, VERITAS, etc. ), board member of GitHub (recently acquired by Microsoft), and lecturer in management at the Stanford Graduate School of Busines, a16z general partner Peter Levine is constantly asked “Why sales?” by entrepreneurs and technical founders. He himself used to hold the “engineer-centric” view that if you build a great product, customers will come. But the fact is, all world-class companies must have a strong sales force. So — how do they get there? How does a technical founder begin to build a top tier sales motion? This entry was posted in Business Development, Grow Your Business, News, Sales, Teaching on February 24, 2019 by rkenneth. What Does It Mean for Your Small Business? Have you noticed something different about your in-store transactions recently? If so, that’s likely because the end of the signature requirement announced by Visa, Mastercard, American Express and Discover is finally coming into effect. Although it affects just one step in the payment process, it means a lot more for your small business in the long run. The payment card industry has been moving toward simplicity and convenience for years. Customers want seamless and secure methods of paying for goods and services, while merchants seek reliable and flexible ways to process these payments across a variety of channels. This paved the way to innovative forms of payments, including those using near-field communication and virtual reality. This entry was posted in Business Basics, Getting Paid, Money Management, News, Sales on December 7, 2018 by rkenneth. What makes or breaks a successful small business? 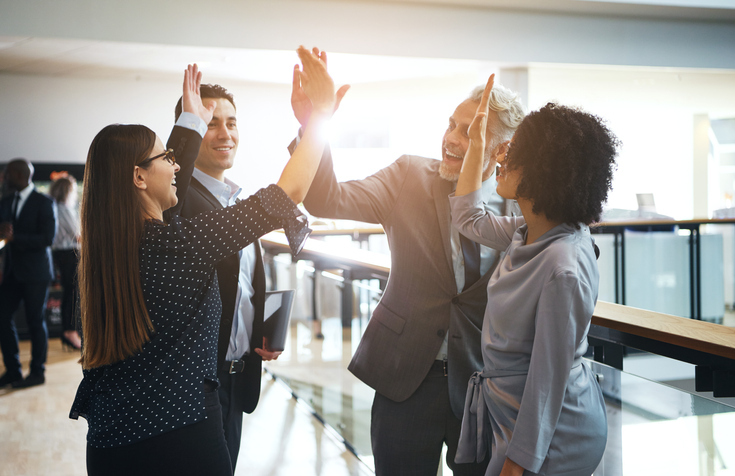 There are several key commonalities among businesses that succeed, according to several studies polling entrepreneurs. Here’s a closer look at four things successful business owners do right—and one thing they need to do better. They start strong. In a poll of 500 successful entrepreneurs, a whopping 84% of respondents say their companies achieved profitability within their first four years in business. In fact, 68% became profitable within the first year. Only 8% became profitable after their fifth year in business, suggesting that the first years in business are make-or-break ones for most entrepreneurs. They focus on finding new customers. Small business owners in the survey say finding new customers is their top business challenge—far ahead of cash flow issues or dealing with the competition. Smart entrepreneurs stay focused on continually generating new leads and closing new business. They put cash back into the business. Forty percent of business owners say whenever they have surplus cash, they put it back into the business rather than paying themselves, a separate study found. What’s more, 47% tap into personal savings to finance their businesses at one point or another. This entry was posted in Business Development, Entrepreneurship, Finance, Funding, Getting Started, Grow Your Business, Investors, Marketing, News, Sales on November 28, 2018 by rkenneth. Ask SCORE: How can I increase sales productivity? Let me begin by saying that I have tremendous respect for sales people. They have an extremely difficult and vitally important job. When they are successful, everyone wins —customers, owners, managers, widget makers, support staff, and consultants. This entry was posted in Ask SCORE, Grow Your Business, News, Sales on April 7, 2018 by rkenneth. Ask SCORE: How can I improve my selling skills? As the owner of a small business, you may be struggling with a frustrating reality. You are confident that you have excellent products and services, but people aren’t just lining up to buy them. You know that you can solve problems for your customers and deliver significant value for a reasonable price. All you have to do is convince them to place an order. This entry was posted in Ask SCORE, Business Development, Customer Service, Grow Your Business, Marketing, News, Sales on August 22, 2017 by rkenneth. What Online Marketing Tactics Generate the Best B2B Leads? The days of B2B businesses generating leads via sales letters and cold calls are long gone. Today, savvy B2B marketers use online marketing to attract qualified leads. But which digital marketing tactics work the best for this purpose? Here’s what a recent survey of B2B marketers in the 2017 State of B2B Digital Marketing has to say. Some digital lead generation tactics are almost universally employed. For example, 95 percent of B2B marketers surveyed use social media to generate leads, 93 percent use email marketing and 91 percent use organic search. …but that doesn’t mean they’re the most effective. This entry was posted in E-marketing, Marketing, Marketing Plan, News, Sales on July 18, 2017 by rkenneth. 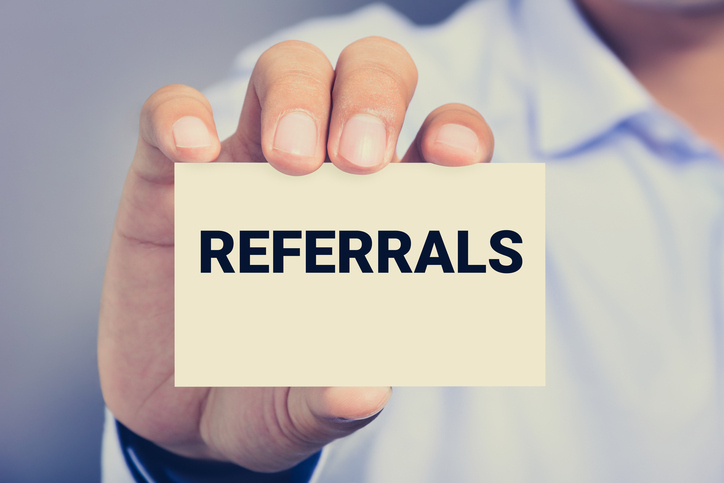 It’s time you learned about the art of referrals. You have a business, but are people talking about it? Word-of-mouth is just as relevant today as it has ever been. When a business asks you to talk about how great they are on Facebook, Twitter, Instagram and so on, that’sword-of-mouth. When you provide good content that others can share, that is also word of mouth. Today, potential customers are more likely to pay attention to people they know and a large general following (e.g., Yelp) than if they see the same commentary in a company advertisement. You don’t have to spend all day convincing people to spread the word about your new business on social media. This entry was posted in Business Basics, Business Networking, E-marketing, Entrepreneurship, Grow Your Business, News, Sales on April 20, 2017 by rkenneth.